This morning on a commercial break while watching the news I watched 3 back to back ads for over-the-counter pain medications. First off, I was baffled as to why they would play 3 different ads for the same product and secondly I was taken away by the fact that there are people out there take take OTC pain meds multiple times on a daily basis! over-the-counter pain killers can help manage but over time they do more bad than good. Just like almost all medications that are ingested in pill form, they have to be processed by the liver and after time of continual use of the drugs, the liver can start having problems of it’s own. In addition, after repetitive use of drugs, the body adapts to the medication and more is require to achieve the same result. You can easily see how this is very unsafe and can potentially be fatal. Now I’m not knocking pain medication all together, but there should be no real reason that you have to take it on a daily basis. After all, the medication only treats the symptoms not the cause. To really be effective you need to try and figure out the cause and then treat appropriately. In my experience as a massage therapist, I have found that many people are taking pain medications due to low back pain and severe headaches. In many of these cases these conditions are accompanied by poor posture. Without getting to in depth (I will save that for another BLOG), when the body starts loosing it’s correct posture, structures start to shift. Muscles on one side of the body become tight and on the other side of the body become overstretched. This in itself can cause significant and noticeable pain, but add to that when the muscular imbalance occurs that joints that were meant to move smoothly become compressed and dysfunctional. 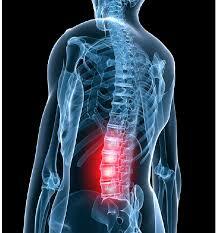 Blood vessels and nerves can become compressed if the postural alignment is to far from the norm. 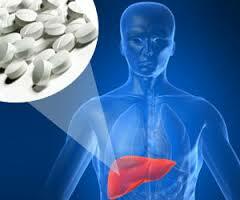 Overuse and Misuse of OTC pain killers can cause serious Liver damage. You will read many articles that dispute the fact that there is no scientific research or proof that pain has anything to do with improper posture, but I say find out for yourself. Massage Therapy has been proven to relieve pain in the muscle fibers as well as alleviate headaches and help to restore posture, all with no real negative side effects. Ask any person who has received a massage if they felt better afterwards and if their pain was reduced and that should be proof enough that therapeutic massage is a better option than consistently over using OTC pain killers. It’s natural, it has been used for thousands of years, and it gets results!